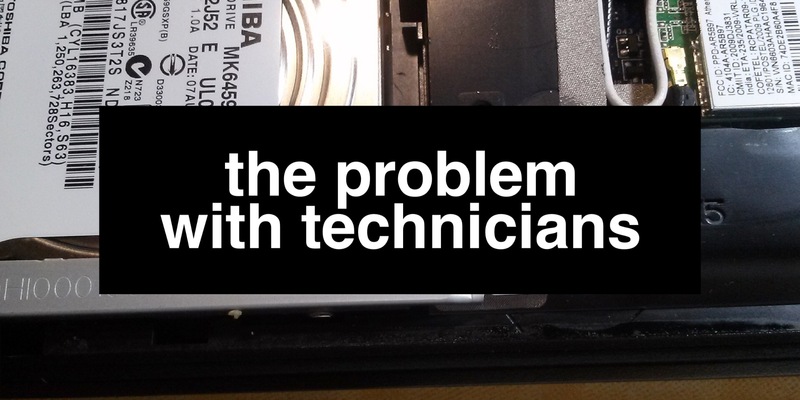 The problem with technicians, you know who I mean – technical support… And this isn’t to say that this is a global issue and a problem everywhere. Some schools, in fact in many schools, it is the job of a teacher to be network manager or the person who manages the hardware in the school… but the problem with technicians is, too often, they dictate what and how you use technology in the school. This is a problem because despite being the right people to go to for technical support about the kit you have got; they are often not the right people to go to about choices of technology to use to support learning. IT folk can be like the golden key holders when it comes to technology and they can make the place like a dungeon if they hold the keys too tight. The choice option that a school goes through is entirely up to them – I always say it would be arrogant of me to go to a school and say that they must choose this provider, that bit of hardware, that way of working. That said, I believe schools have a moral duty to make informed choices about what technology they use. In my recent article in the TES I talked about the massive money savings that can be made using amazing free tools. Savings that could be in the tens of thousands of pounds. It’s a difficult conundrum – teachers, unless they come from a technical background are mostly going to be unlikely to be best placed to make decisions about what technology to purchase or how to manage it. Technicians and network managers are (mostly) going to be trained in one particular area of network and device management – more often than not, Microsoft. Another story I’ve heard is of technicians who hide around the school site to avoid dealing with issues outside their technical ability. It’s crazy. Even if the school chooses to go Surface, or iPad, or iPad Pro or whatever – without the correct thinking behind these choices all you will end up with are some very expensive bookends (thanks to Rachel Smith for the analogy). It should be about informed choices being made around what best suits the learning that goes on in your school. When a Headteacher goes to technicians and starts sounding out ideas to these types, ruffling the feathers of the status quo can be a big deal to the network manager. Not only on the front of whether their skills are up to the job of managing this shift; but then there could be worries of job security, whether it will work, questions being asked that are beyond their skill base. Many schools buy in to managed services for their technology through a company such as RM. In this instance you are able to tap in to their services which are broad and can help informed choices be made about your technology for learning choices but this isn’t the case for every school. In many schools, the technicians will veto this in what often appears an effort to maintain the status quo and keep them in a job. This is wrong in my humble opinion. Read more about it via the link. Whilst this approach is something clearly supported by Apple, I think it naturally applies to all schools in their use of technology. It doesn’t have to be Apple, this can apply to a mixed economy, for example where children use iPads but have Google Apps as the infrastructure or Office 365. My main advice would be this. Just like you expect teachers to make professional decisions based upon learning in the classroom, so your technical team should too – not based on some of these issues raised above. It should always be about the learning and technology should be there to enhance, not dictate the learning (via Zoë Elder). To wrap up, I have to say that I have been very fortunate to work with some amazing technicians over the years. There are many, many out there who think outside the box and do everything they can to help students, pupils and teachers – for this, I applaud you, thank you. Additionally, in case there are any of my old colleagues reading this and thinking I’m talking about them I would just like to big-up Darran, Matt, and Kathy who have always done their level best to ensure learning takes place in the classroom. Do you speak on behalf of Trilby TV? O I hear you! Hopefully my faculty would see me as a enabler and not a roadblock. I think that to some degree that the division of instructional IT and operational IT helps to manifest these behaviors and disconnects. Maybe PD opportunities would help. I think you’re right Matt, CPD is of massive importance given how quickly technology develops. If your techs are telling you it’s impossible to do something which you believe to be possible, perhaps the school needs to look at the training offered? The IT in Education sector suffers from a lack of pay, lack of progression and more importantly, lack of training. If you want someone who can open minds and think out of the box, you need to give them the knowledge to do so instead of offering minimum wage and expecting IT personnel with nothing to aim for to fund their own training. Training is a massive issue, not only for support staff but for teachers and their use (and expectations) of technology too. No, sorry, but you don’t see the gulf between support staff and teacher training. Aside from the compulsory safeguarding/first aid, there is no proper structure for support staff in schools when it comes to CPD. A teacher has an enormous support network behind them whilst admin, data and tech staff are left to fend for themselves. As a teacher you can progress into the ranks of leadership by working through the ranks with full training and support on the way. There is a path of Teacher to Senior to SLT to Head. A school Data Manager or Network Manager could capture as much knowledge about how a school is run but they cannot break into school leadership at all. I myself in data feel I am at a glass ceiling simply because I am not a teacher even though I interface with the senior leadership team at a very high level. So I have to refute your idea that teachers have a massive issue with training. They don’t! There are differences, sure; however you miss my point about support for those teachers such as myself who teach Computing / ICT. I was making parallels about the requirement for both teachers of technology and technicians who need time, support and training to stay up to date in order to do their job. In regard to your comment about your personal situation, I can’t comment on that but I wish you luck in pushing through that glass ceiling. Maybe an EdD / MEd / PHD might help? Certainly agree that on a secondary school level, data managers should be closely aligned with the leadership team. I’d argue both techs and IT teachers need the training. How can someone teach the basics of network infrastructure if they don’t understand it? Or how to setup GPOs, Permissions, Active Directory, SQL, etc. If neither technical nor teaching staff get such training, is it no wonder students leave schools with employers saying their skills are unfit for the workplace? I agree. As I think I said before, there is a parity there in this regard. This appears to be a bit of a rant, generalising based on anecdotal evidence and, quite simply, a lack of understanding of the world of enterprise class IT requirements in education that exist now. At my school, I could turn around and say “sure, we can use GAFE” but to do so without a thorough risk analysis, based on the most recent data protection laws and court rules would put our children’s data potentially at risk. I could turn around and say “yes, go ahead, buy iPads for every child”, but again, without a thorough analysis of how they will be used (wireless coverage, is our internet connection up to the extra demand, are we going to be letting the pupils take the devices home, what happens if one is broken in school, where does liability stand, what happens if someone is mugged whilst walking home with their expensive device, are the devices going to be owned by the pupils, how do we deal with buying hundreds of apps each time it is decided one is needed etc…), or how they are actually going to be inserted into the curriculum, the project would be doomed to fail. The problem is, often your network manager has experienced how things are done in schools. We know that asking all those questions will get us a reputation as difficult or fussy, or we will simply be ignored or overruled. We also know that when we are overruled or ignored, we will be left to pick up the pieces – usually without any training, or extra staffing. So, sometimes, we’ll turn around and give a simple “no, it can’t be done”, even though what we actually mean is “it could be done, but the likelihood of everyone providing the information needed and the school providing the funding and ongoing support needed, is slim to none” after having looked at all the issues that could be faced. If we gave all those reasons, we would again be accused of being blockers, or being difficult. You seem to have missed out one major aspect in your rant too – we are professionals too. Many of us have degrees. Many of us have been doing this for a long time. Ignoring our experience and knowledge because you feel the latest and greatest fad would assist you, whilst seemingly ignoring the bigger picture that now applies to school IT is not going to help anyone. …does highlight one of the issues too. Dialogue between school leaders and support colleagues should be much more open. Like @jonwitts wrote in his response post; network managers should be closely aligned to the leadership team where these discussions should be able to take place although in smaller organisations such as primary schools this simply isn’t possible due to the size of the organisation, budgets and a whole host of other reasons. Must dash now but thanks again for taking the time to reply Tony – you’ll hopefully notice too that I’ve addressed some of your comments in my reply to Chris. Thanks for the mention about my response post here: http://www.jonwitts.co.uk/archives/760 . I understand that the title of your post was probably intentionally provocative; as was mine in response! I think what is clear from the comments here and the discussions which both your post and mine have spurred on Twitter and EduGeek today, is that this is an issue which those from all areas of Education feel very strongly about. I also feel that the discussions are potentially far more productive than the original posts (mine included in that!). However none of these are insurmountable issues and with the correct leadership and vision can quickly become non-issues. It is at this point that I can only offer advice about my experiences; but what I do know is that we all need to keep talking and learning from each other if we are to succeed. Maybe you should look at the money spent in schools on training their technicians. I’ve been in schools since 1998 when my experience was NT4. Would a teacher not expect training when a new subject is introduced? I’ve had none, repeat none so on that basis should I dig my heels in and run NT4? No I self-fund or learn on the job. I don’t get Insets or sent off on away days. When a new technology is introduced I learn on the job, usually from my mistakes. Again I suggest you as an education technology expert take time to research just how much money is spent on training you technical support staff before you start accusing them of not being able to do their job. And yes sometimes I may not be as enthusiastic as someone who’s just been to see a new product or spoken to a sales rep about one. That’s because I have to think about all of the implications of introducing it into the work place. Not only its value for teaching and learning but also the extra time it will take to manage, the resources it will consume, impact on the infrastructure (you know the hidden stuff like cables and switches that cost a lot of money to install) how I am going to train myself in its use and management. All the things a sales person isn’t concerned about once they have their sale. Morning Chris, thanks for taking the time to reply. Firstly, you should know that I have more than two decades experience working as a teacher, head of Computing and SLT so I don’t come to this wide-eyed. I know the pressures you face and I sympathise with the issues of pay and of training – schools have a duty to provide training for staff but like you, as someone who has worked in the field of IT for many years I fully understand the need for time for training and time to embed / practice / learn. Like you too most of my CPD related to IT throughout my career is that which I have undertaken myself. Additionally having managed big contracts for installs I am very aware of costs involved and I don’t ever come to the table without that experience – unfortunately, despite Tony’s comment too – this isn’t a rant although I do admit the title is provocative. In actuality the issue (like you and Tony allude to) is more often than not a balancing act against what is possible and what best serves learning. I love the fact that you and others have taken the time to reply to the post. This demonstrates the superb attitude you and many others have towards what you do. Unfortunately however (and I say this having both worked in many schools over the years and having had the opportunity to work with and speak with many teachers and schools from around the world) this is not always the case and more often than not the issues I describe in the post are present. None of the examples I gave were fabricated. So whilst I take it on the chin that I could have been less provocative and that additionally I could have spent time writing a more in-depth article to discuss all of the issues, (some of which you and Tony highlight), I didn’t and the issues still persist in a large number of schools – particularly in Primary. Just to clarify, this isn’t denigrating your knowledge of education IT. It is pointing out that there is more to IT than meets the eye. The requirements placed upon that technology is significant, with 24 hour access now being a commonplace need in schools, whilst maintaining only minimal budgets. Things like redundancy, and resilience. Things like the long list of legal requirements we have to follow, especially considering a lot of the cloud services in use are based overseas so we end up with multiple jurisdictions to deal with. There’s just so many things that have to be considered, I fear that you aren’t considering them all, and not doing so can and does get some schools into trouble. Thanks again Tony – really do have to dash so will be brief but I really do concur. With me you’re preaching to the choir but like you highlight this is definitely not the case in many examples. I guess that is where you come in, but too often people in your position aren’t listened to or are thought of as being roadblockers (as mentioned in another comment). I think perhaps the key is decent communication backed by colleagues who are given decent CPD and opportunities to be seen as being valued and integral cogs in a school’s journey. That said, whilst growth on one side of the coin (leaders) is necessary, the other side (support colleagues) could do with growing too. It’s a difficult one, isn’t it? I guess part of the issue is that a lot of schools lack an overall strategy for investing in IT properly – this includes hiring properly qualified technicians and training them. While I deplore the “All I know is Microsoft (or whatever) so everything looks like a Windows install” mentality, if the organisation is only prepared to invest in people who can only go to that level, it cannot then be too unhappy when that is what it gets. I think you’re right – it’s a difficult one but hopefully through discussions like we are having here through this post, it will highlight a shift in thinking that is clearly needed. Thanks for taking the time to reply and comment. At the EdTechist Educational Technology Conference you attended, how many UK based school technicians and Network Managers did you meet? Have you any good examples of School Strategy that drive ICT or any idea of the percentage of schools in the UK where the leadership fails to produce the necessary strategy? Are there any numbers available to show how many failing schools are in that position as a result of the approach of the ICT Technician or Network Manager? Not sure how your first question, which equates to a very small proportion of my work these past twelve months in a foreign country, has to do with this post or comment thread. I can see where you’re coming from with your secondary comments and why you might take umbrage to my post – I think though, as I’ve commented elsewhere, that the important thing is to look at what actually works and that is from a viewpoint of strong leadership working with a team that is well-supported, learning and teaching focussed which communicates well with all stakeholders, from parents to staff to children and back again. We only have to look at the reports we see each year (for example the recent OECD report or NESTA’s report) for evidence that the deployment of technology in schools for learning isn’t having an impact. This post isn’t looking to lay blame at anyones doorstep but to highlight one of the issues that faces a large number of schools that I encounter. I look forward to the follow up article. Hi Jeff – hope you’re well. I’m drafting it at the moment; it’s actually titled ‘In defence of technicians’. 1) There are still too many schools where teachers and learners are hindered by poor ICT systems and staff. 2) There are still too many schools where ICT systems and staff are hindered by poor attitudes towards them. 3) There are many schools where 1 stems more or less directly from 2. 4) There are many schools where it does not. I hesitate a little with number 4 because my personal belief is that there will almost certainly be a direct correlation – number 4 is essentially just to accommodate the plain bad apples. The solutions proposed some (including Mark) can work – and have been shown to in practice – but if I’m honest I would have expected to see much more progress in schools across the sector by now. The niggle, I think, is a further complication: there is a “resentment culture”. IT staff MUST take responsibility for their part in that too. Nevertheless, to my mind, to an extent it’s perfectly natural given the circumstances in play. The problem with the education sector is that all anyone in it wants to talk about is education. That means it is all too easy for any other concerns to be sidelined, among which of course is the “plight” of non-teaching staff in general. Where that affects IT staff is the low pay with limited progression (academisation has not solved this across the board and was never going to), little to no training combined with expectation creep, the glass ceiling and – of course – the unfavourable comparison of their terms and conditions with those of teaching staff (TLRs for additional responsibility etc). Do you have any advice for when you know the network admin/ IT tech has views and opinions that are more forward thinking than those he/she works for? I find turns of phrase such as “we should adopt X because it is industry standard” rather tiresome/redundant and will ultimately remove the things that make using tech simple and educationally useful (read Google Apps). As a former school IT support staff, I’d say I agree with many of Mark’s points about how and why to implement IT. Unfortunately Mark, I feel you started this article on the wrong foot. Quite often IT technicians have to say “no” because the requests in question often come as a product. Your first example: “we can’t move to Google Apps for Education to support our work with iPads because it won’t work with our domain”. This would give the technician the reasoning behind the request and options. Insisiting on Google, which sometimes can take a lot of time to set up AD authentication and MIS population when it’s entirely possible that Office365 is already set up for that school is insulting to the technician’s knowledge and experience. Your second example: “we can’t move to the cloud because the Government say so” in my experience is a shorthand for “I’ve not been given time to check out the security issues, last time I looked we weren’t supposed to and isn’t this like the time you insisted we unblock YouTube, only for the head demand I re-block it 2 hours later?”. We all know some teachers who latch onto the shiny new thing that solves a problem for them and no one else. 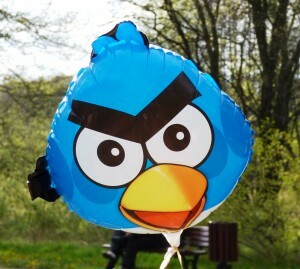 I know a number of staff who encourage students to use of Twitter, despite the fact it cannot be filtered. I could go on, but both of these conflicts arise from professional communicators not communicating with their support staff. Maybe you could write a follow up post “The problem with teachers”? Thanks for sharing your thoughts Graham. The first school, I took over from a Managed Service Provider after the school got out of the contract early due to poor service and mounting expense. The first thing I did was recommend the creation of two roles. 1 E Learning Technician and 2 ICT Technician. The E Learning technicians role is to go into lessons and work with teachers on Pedagogy and work on where their ideas could be turned into workable ICT solutions, VLE development, iPad deployment etc. This role was someone who can bridge the gap between technical IT and teaching. To share best practice amongst staff when using ICT, the tech would hold meetings with ICT champions who represented each department and the outcome would be all tech savvy colleagues working together and sharing best practice because a single person alone doesn’t always have the best idea. All this was then fed back to myself as Network Manager and the Curriculum head of ICT who was also on SLT. The ICT Technician was more focused on the break fix side of operations and would be the person in the office who would answer the phone, commission/decommission equipment day to day IT support. However both techs knew a bit of each others job and could provide cover. As Network Manager, enabling the teaching staff to feedback via an E Learning technician was really good to get an insight into how the school wanted to teach and vice versa and provide input into the best way to achieve this within school budgets and practical timescales. A teacher may like the look of a gadget that they have seen at a trade show, but when you have a discussion with them, they might find a better solution in a cheaper alternative or using something we already have that they didn’t know about. Previously the school was tied into a Managed Service contract which allowed no scope or innovation which lead to its eventual demise. But once they were allowed to drive their ICT ambitions and feel a sense of ownership, then they would be more receptive if an idea couldn’t go ahead or if you had to suggest a different approach. You may have to say no to BYOD or Guest access this year because the school can either afford a new wireless management solution or the new copy of Adobe Suite they want to teach with. But these improvements could be planned for a successive year. In communication terms, secrecy gets you no where and if you want to be a good Network Manager, the best thing is to get involved with the E Learning side of things and keep the communication lines open. It terms of Outsourcing or Managed Service contracts, there are technical arguments to say that the Network Manager and IT Techs may not know every technology that is out there, however a good Network Manager knows when jobs can be done in house or when and where to buy in extra expertise and ensure consultancy costs give best value. The morale of this story is that everyone is on the same team. If everyone knows where they add value in the E Learning teaching process then the school will reap the benefits. Thanks for adding your comments Mr C – I like the sound of the e-learning technician. A great idea and some really valid points. Thanks again.